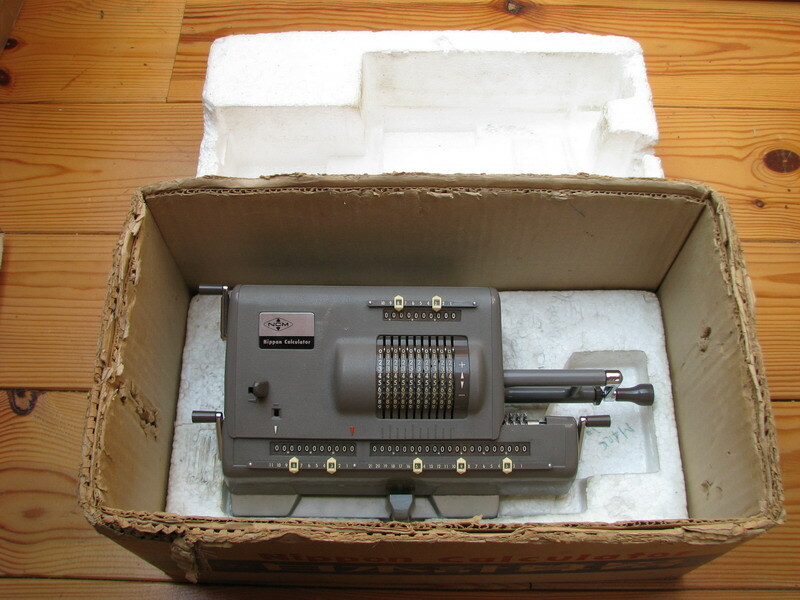 This is my second machine of which I have the original box. 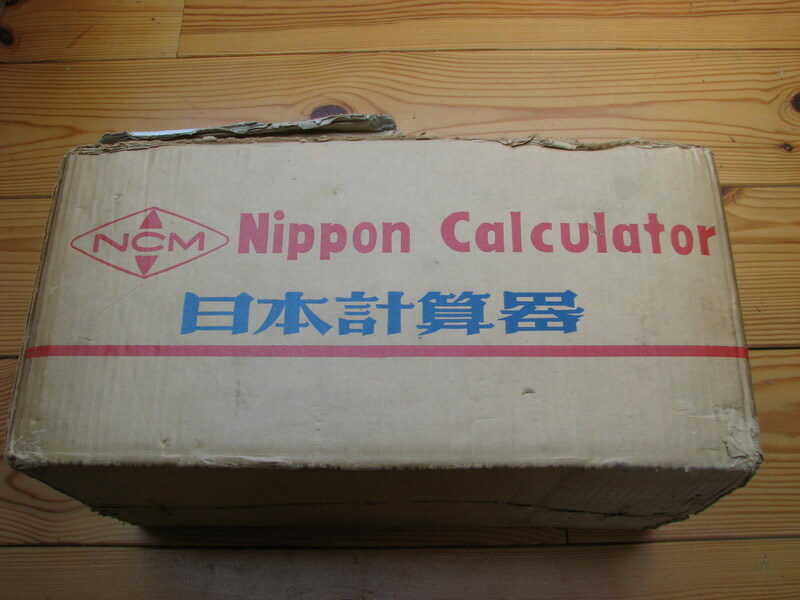 Of course it is difficult to say whether calculators also came in a cardboard box in the 1920s and 1930s, but in the 1970s they certainly did. 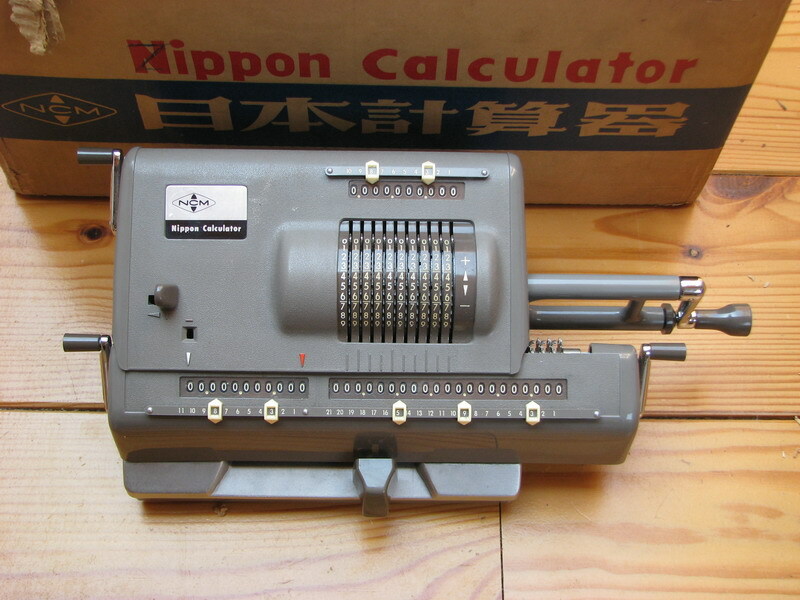 Add to that the fact that many were underused due to the rapid rise of the electronic calculator, and a few thus ended up on an attic - in their original boxes. 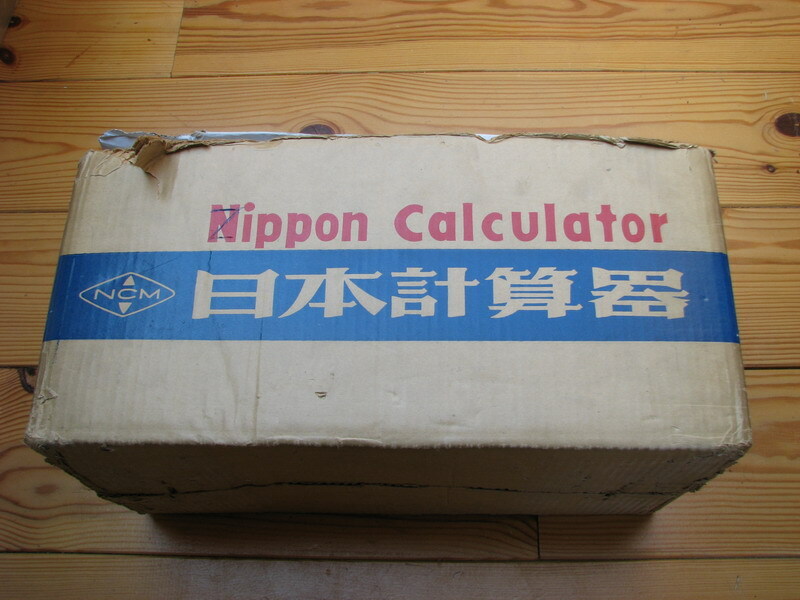 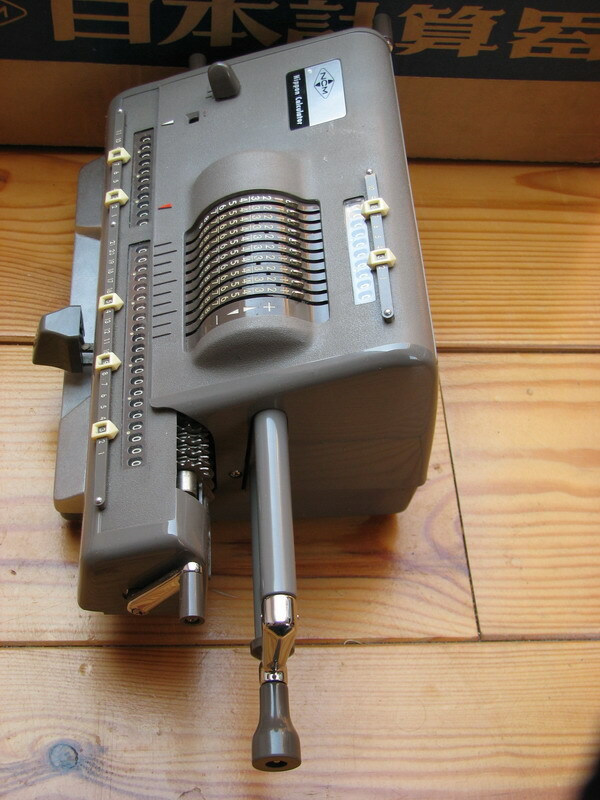 That is what happened with this Nippon calculator that was sold by Broughtons of Bristol, which was situated here. 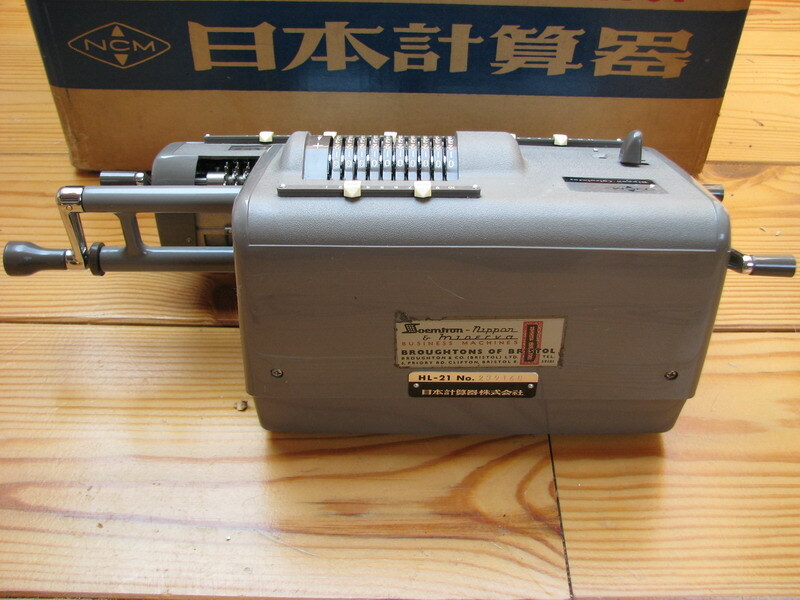 If you wanted to buy business machines in style, this was where you had to go! 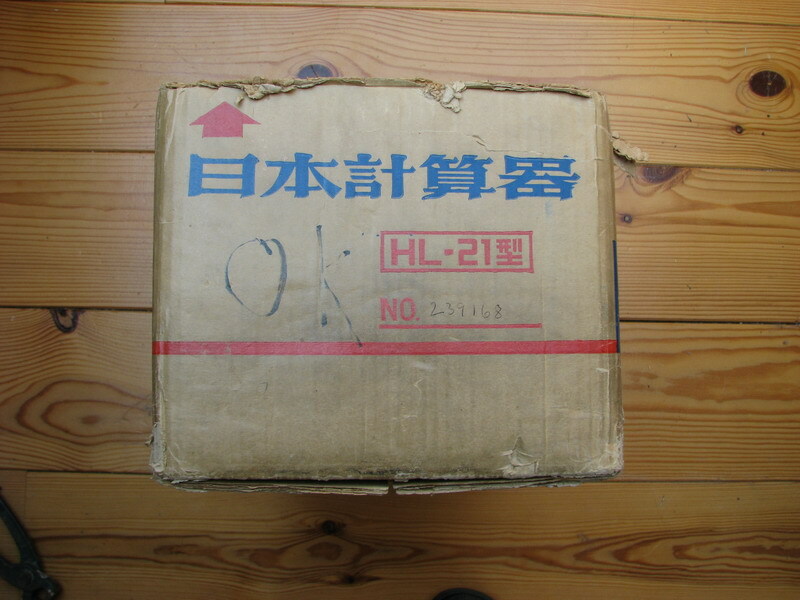 Oh dear, someone pulled a prank ...don't tell the Japanese! 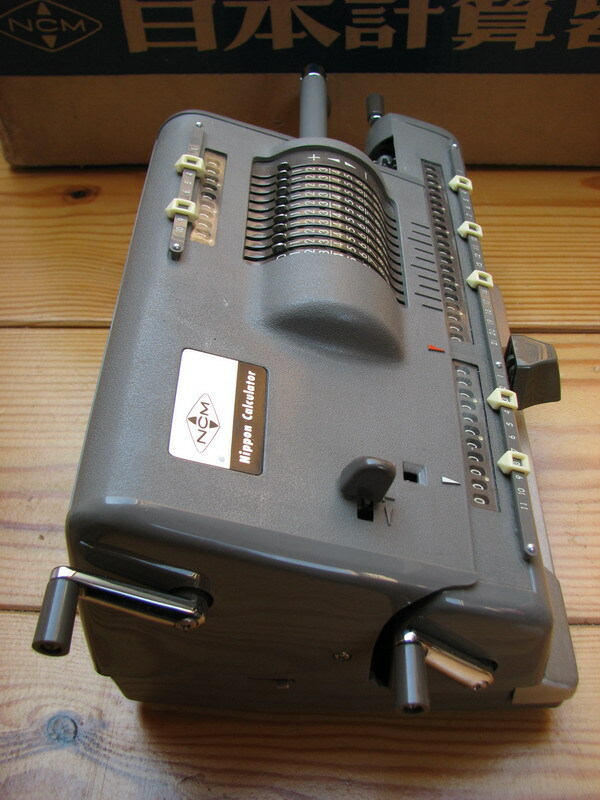 As you can see, NCM quality control gave this one the OK! 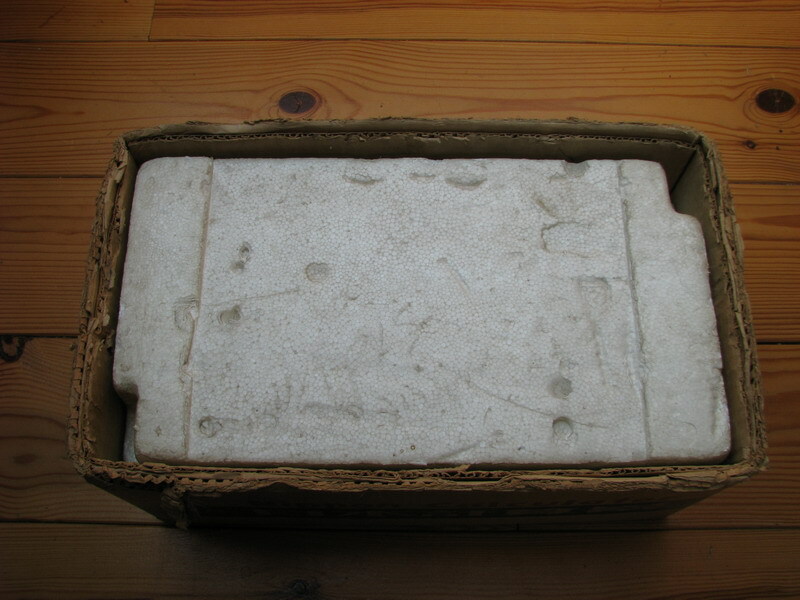 Top of the box, with original Japanese styrofoam!